As the colors on the trees begin to change, flannel shirts appear, and the weather continues to cool, it’s time to look ahead to the start of the holiday season. AICR is here to help you plan a Thanksgiving feast that is not only delicious, and a meal that you and your loved ones will never forget, but also will help reduce cancer risk. 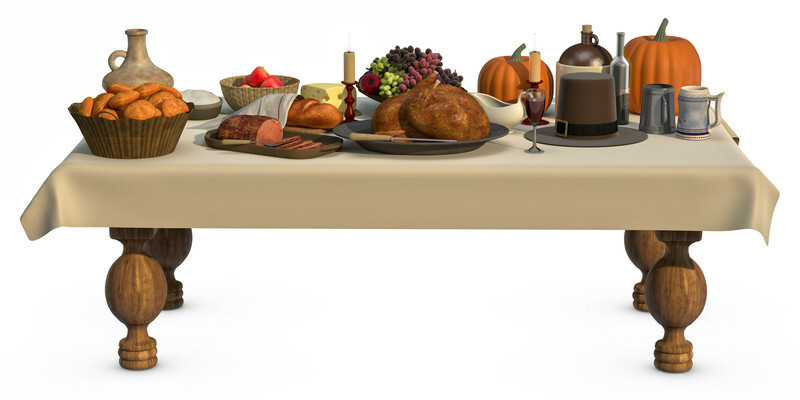 For your main course, AICR recommends our new twist on the centerpiece dish of the Thanksgiving table. Roasted Turkey Breast Porchetta-Style is an Italian take on the traditional Thanksgiving bird. Its elegant presentation is guaranteed to wow your friends and family. The cancer-fighting herbs and spices provide a flavor boost for a unique, Italian-inspired roast with delicious, moist meat using very little salt. Cider-glazed Sweet Potatoes with Cranberries. Sweet potatoes are a good source of Vitamin C and they contain the antioxidant beta-carotene, which helps repair damaged cells. Get your greens with a side of Creamy Spinach. Use reduced-fat sour cream for a rich, creamy mouth feel with a sensible calorie count. Garlic dresses it up and adds compounds that are being studied for their ability to turn on tumor suppression genes. Expand your dessert table beyond pumpkin pie with an easy but stunning Baked Apples with Walnuts and Raisins to complete the meal. This dish not only screams fall, but the apples are packed with pectin fiber, which helps your gut bacteria produce compounds that protect colon cells. In addition, the walnuts add important omega-3 fat along with cancer-protective phenolic acids and blood pressure friendly phytosterols. With this cancer-protective menu, AICR wishes you a delicious and healthy Thanksgiving! For more delicious and cancer-protective holiday recipes, check out more Holiday Recipes from AICR.